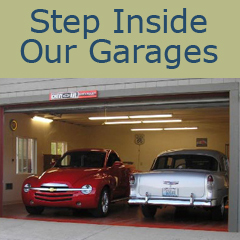 Ed & Vera started the company in 1986 as sole proprietors, Pacific Garages, Inc was incorporated in 1992. Ed got his love of building from his Grandfather, who was a builder in the Ballard area of Seattle in the 1920’s, up until his retirement at the age of 70 in 1952. Together Ed & Vera have raised three wonderful daughters and were very active in their early lives coaching and attending many ballet recitals, soccer, volleyball, and basketball games around the state and the West Coast. Our oldest graduated from Cal Poly San Luis Obispo in Achitecture and is currently raising our three grand children. Her husband is a Project engineer with WebCor Builders in the San Francisco area along with our second daughter who received her Masters Degree in Public Planning from NYU. Our youngest is the proud owner of The Bar Method in Honolulu HA and is putting her business degree from the University of Washington to good use. We strive to make the building experience as pain free and enjoyable as possible. We instill in our employees the credo to “Build like it was for your self or a loved one”. We also want to make sure that your project is built to your satisfaction and promise NOT to just do something for expedience’s sake but rather confer with you on any changes or dilemma’s that come up so you can make the most informed decision. We take as much time as needed to insure no portion of the project, from design to completion, is rushed. We aren’t perfect but always do our utmost to make you satisfied. 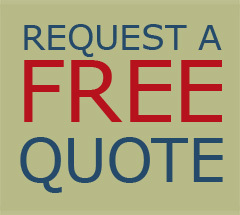 We have constructed over 1,500 garages and other assorted projects and each year more and more of our work is for previous customers who were very satisfied and happy not only with our product, but more importantly, with how professional and easy we make the job go. We don’t just do garages, we also do additions and more extensive remodels, usually for past customers who don’t want the gamble of the lowest bidder, but trust us to treat them honestly and give them a great value with minimal head aches. Thank you for taking the time to peruse our Website and we look forward to working with you. Employees Pacific Garages employs on average between 10 and 20 employees. Mount Baker Garage Door Inc.